Ethan and Ella are ready to embark on a journey around the world! But before the twins even leave, mysterious things start to happen. First, Ethan’s special gold coin goes missing. Then, in Venice, Italy, the twins meet a man whose boat has been taken, while in Paris, France, a precious painting is stolen from a museum. It’s up to the twins to solve one mystery after another in this action-packed three-book collection! 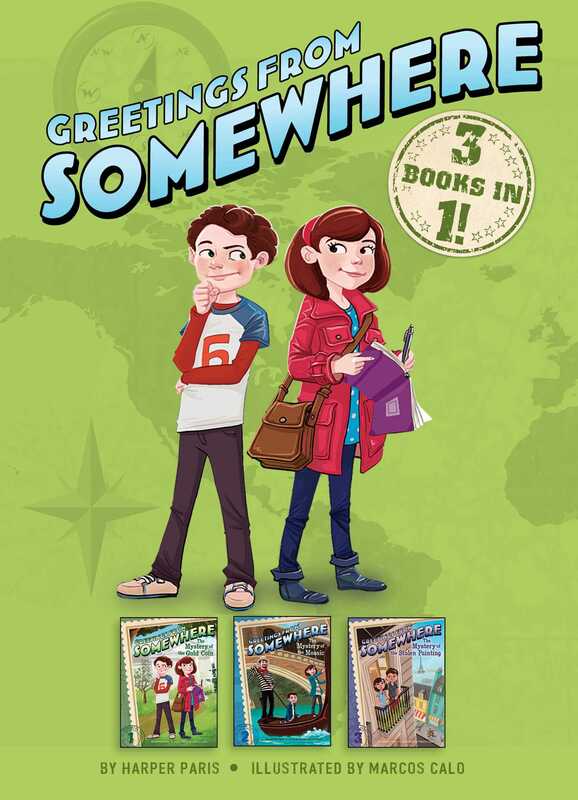 With easy-to-read language and illustrations on almost every page, the Greetings from Somewhere chapter books are perfect for beginning readers. This bind-up edition includes The Mystery of the Gold Coin, The Mystery of the Mosaic, and The Mystery of the Stolen Painting. Book Cover Image (jpg): Greetings from Somewhere 3 Books in 1!